The Responsible Sourcing program reflects Walmart’s commitment to work with suppliers and stakeholders to not only make our own supply chain more responsible, but to lead and inspire others to make theirs more responsible, too. At Walmart, we are committed to working with suppliers and stakeholders to make the global supply chain more responsible. 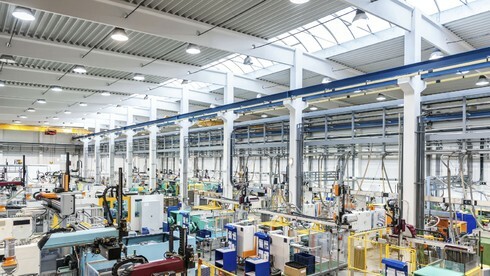 Through our Responsible Sourcing program, we set expectations of suppliers and the facilities they use, assess supply chain risk, monitor supply chain conditions through audits and investigations, provide training and tools for our associates and suppliers, and collaborate with others to make progress on key industry-wide issues. As of June 2017, our Responsible Sourcing team has approximately 200 associates in the Walmart Home Office and in retail markets and sourcing offices around the world. The safety and wellbeing of workers across the global supply chain is important to Walmart. Our Standards for Suppliers make clear our fundamental expectations for suppliers and their supply chains. Walmart owns relationships with its suppliers, and suppliers own the relationship with the facilities that produce the products we sell, so we expect suppliers to cascade our values throughout their supply chains. While we prefer to work with our suppliers to help them improve conditions for workers in supply chains, we may impose consequences up to and including termination of business for those suppliers who fail to live up to our expectations. Sam Walton founded Walmart to bring quality, affordable products to people. He put the customer first, building a strong company with dedicated associates and deeply rooted values of service to the customer, respect for the individual, striving for excellence and acting with integrity. This commitment to doing the right thing for the customer does not stop with our own operations. Walmart customers rightly expect that the products they purchase have been produced with these same values in mind. Walmart’s thousands of suppliers source food, apparel, household goods and other merchandise from more than 100 countries around the world. Cascading our values throughout the entire supply chain can have a tremendous impact: our customers get better-quality products, the people who grow and make what we sell receive the dignity and respect they deserve, and Walmart and Walmart suppliers earn and maintain customer trust. Walmart cannot do this alone. You as the supplier own the relationship with the facilities that produce the products we sell. We expect you and all facilities in your supply chain to embrace both the words of and principles behind these Standards for Suppliers. We want to do business with suppliers that engage with us, acknowledge where they are falling short, and own what they do with a sense of urgency and pride. We will do the same in return. Together we can make our supply chain more responsible, and lead and inspire others to make theirs more responsible, too. These Standards for Suppliers are the foundation of the Responsible Sourcing program operated by Wal-Mart Stores, Inc., including its subsidiaries and affiliates worldwide (“Walmart”). Do these apply to me? The Standards apply to anyone that supplies product to Walmart for resale, as well as any agents they use (collectively, “Suppliers”). Suppliers are responsible for compliance with these Standards throughout their operations and throughout the entire product supply chain. A signed supplier agreement, acceptance of a purchase order, and/or provision of merchandise to Walmart constitutes acceptance of these Standards and serves as the Supplier’s continuing affirmation of compliance. Walmart reserves the right to audit or inspect Suppliers’ books and records, and any facilities they use, at any time. Walmart expects Suppliers to adhere to these Standards, and may impose consequences up to and including termination of business for those Suppliers who fail to comply. Disclose supplier and product information, facilities, country of origin, and all other applicable information in compliance with Walmart policies posted at corporate.walmart.com/sourcing. Maintain your facility listing. Respond to inquiries and requests for information. Make your facilities available for inspection. Obtain and participate in required audits. Participate in industry and collaborative initiatives and complete requested or required training. Work with Walmart and any applicable industry bodies or audit programs to resolve issues. Designate a representative responsible for legal compliance and compliance with these Standards. Do not produce merchandise in non-compliant or unauthorized facilities. Post language-appropriate, Walmart-approved posters in facilities producing product for Walmart. Distribute language-appropriate, Walmart-approved versions of these Standards throughout your supply chain. Maintain records and documentation sufficient to demonstrate compliance with these Standards. Model and promote the values these Standards represent throughout your chain. Exclude involuntary labor—including underage, forced, coerced, bonded, involuntary prison, exploited, trafficked or indentured labor—from your operations and supply chain. Be aware of indicators of involuntary labor and actively address them, particularly where your workforce includes vulnerable populations, such as migrants, women and young people. Take steps to recruit responsibly, including by not charging vulnerable workers recruitment or similar fees (or repaying any such fees charged), by providing migrant workers an understandable and accurate employment contract in their native language prior to departure from their home country, and by holding your agents and any labor brokers and recruiters you use to the same standards. Allow workers freedom of movement—do not keep workers’ personal identity documents or other valuable possessions, do not control workers’ freedom of movement by virtue of debts owed to you, brokers, or other third parties that cannot be reasonably repaid, and allow workers to terminate employment on reasonable notice. Comply with all applicable laws, regulations, agreements and industry requirements relating to the employment of young workers. Implement processes and procedures to help workers understand the terms and conditions of employment prior to employment. Verify worker eligibility prior to employment. Make all employment decisions (including hiring, termination, promotion, and discipline) based on ability and willingness to do the job. Refrain from corporal punishment, harassment, threatening behavior and abuse, including when imposing discipline. Provide a mechanism for workers to report concerns to management, to you, to the government, to appropriate third parties and to Walmart without fear of reprisal. Provide compensation, benefits, working hours, breaks, rest days, holidays and leave that comply with legal requirements and applicable agreements. Help workers understand these terms. Do not make illegal or excessive wage deductions, withhold wages, delay wage payments, or pay wages irregularly. Respect the rights of workers to join, form or assist a trade union, or refrain from doing so, in accordance with applicable law and practice. Cultivate a safe, clean and healthy work environment as appropriate for your industry, geography and workforce. Provide access to clean and sanitary facilities, water, and—as appropriate—dormitories and food. Implement procedures and safeguards to prevent accidents and injuries to workers, including proper maintenance, established monitoring and inspection routines, worker training and protection, fire safety measures and restrictions on hazardous work for young workers. Know and visit the facilities in your supply chain and monitor their performance. Assess and understand your risks, including those relating to your industry, geography and workforce. Adopt a management system and implement training appropriate for your industry, geography and workforce. Remediate non-compliances and mitigate risks; where applicable, work with your chosen third-party audit program to receive training, build capacity, mitigate risks and remediate. Monitor your compliance with these Standards, acknowledge where gaps exist and report your progress. Understand and comply with all applicable laws, regulations and agreements, including those related to labor, employment, immigration, health, safety, trade and the environment. Maintain and comply with licenses and permits as required and appropriate for your industry, geography and facility. Comply with all applicable policies posted at corporate.walmart.com/policies and corporate.walmart.com/sourcing. Be upfront in your dealings with Walmart, auditors and audit programs, and other third parties. Do not offer gifts or entertainment to Walmart, auditors, or other third parties. Decline to enter into transactions that create a conflict of interest. Renounce bribery, corruption, and unethical practices in all forms and in all dealings. Report conduct that violates the law or these Standards or undermines the integrity of the Walmart Responsible Sourcing program so that we can address it together. Suppliers should check this page periodically to confirm they are aware of any new policies and changes to existing policies. View facility posters by country and language. Our expectations of suppliers extend throughout their supply chains. To reinforce those expectations, our Standards require suppliers to post Walmart-approved posters in production facilities letting workers know what we expect of our suppliers and their facilities on topics like wages and hours, safety, fair treatment, and forced labor. The posters also provide workers with information on a number of options for raising concerns, including by contacting Walmart directly in their preferred language. To reinforce the supplier’s responsibility for managing its supply chain in a manner consistent with our Standards for Suppliers, we administer the Supplier Strike program. Any supplier sourcing from a facility that receives a Red assessment, the most serious facility assessment rating. Any supplier who has a serious violation or pattern of violations in its supply chain that suggest a systemic failure to effectively manage compliance in the supply chain. The Strike program creates an escalating set of pressures and consequences for suppliers that can lead to termination of their business with Walmart. Strikes remain on a supplier’s record for two years, and three strikes within a two-year period will typically result in a significant reduction or termination of a supplier’s business relationship with Walmart. The Strike program is one of the tools we use to promote a compliant supply chain. Walmart of course reserves the right to audit and take appropriate action with respect to a supplier or supplier’s facility at any time for non-compliance with Walmart’s Standards for Suppliers. At Walmart, we strive to continually improve our risk-based audit program so we can better allocate our resources to higher-risk facilities and help increase overall compliance. However, we recognize that, despite our efforts, no audit program can guarantee that every facility used by every supplier is in full compliance with our Standards for Suppliers. Read more about our efforts and approach below. Any facility disclosed to Walmart pursuant to our Disclosure Policy may be subject to an audit at any time. However, we allocate audits based on the risk level of the country in which a facility is located so we can drive the biggest impact in our broad and diverse supply chain. We place disclosed facilities into one of three risk categories. The risk category of a facility determines the requirements of that facility under our Responsible Sourcing audit program. We currently use data compiled by the World Bank to determine the risk category of a facility based on indicators of good governance in the country where the facility is located. Category 1 – Lower Risk: Facilities located in Category 1 countries will not be required to complete an audit on a regular schedule. Rather, each year Walmart will select a sample of facilities to receive an audit. Category 2 – Medium Risk: Facilities in Category 2 countries will be required to complete an audit and follow-up audits as dictated by its chosen third-party audit program. Category 3 – Higher Risk: Same requirements as for Category 2 countries, plus new facilities in Category 3 countries will be required to receive an audit with a Green or Yellow rating prior to producing product for sale at Walmart. We are always looking for ways to refine our risk-based audit program. In addition to a facility’s country, we may look at other variables, including industry-specific risks, supplier compliance management systems and other factors as we evaluate the risk of facilities over time. Walmart may add or remove programs from this list from time to time or may pilot the use of new programs while evaluating whether to accept them generally. Suppliers should regularly consult Walmart’s audit policy and guidance to keep up to date on which programs are eligible for acceptance. While Walmart currently does not limit suppliers’ ability to choose an appropriate audit program, there may be situations in the future in which Walmart will recommend particular audit programs as needs and strategies dictate. Suppliers who are required to obtain an audit must choose an eligible program, follow the directions provided by the program or authorized audit firm to obtain the audit, and send the completed audit report to Walmart. Walmart will review the audit report submitted, note issues of concern, and convey next steps. Non-compliances and failure to remediate constitute grounds for consequences for suppliers and facilities, up to and including termination of the supplier’s business relationship with Walmart and/or a facility’s ability to produce goods for sale at Walmart. As always, Walmart reserves the right to audit or inspect a supplier’s facility at any time. Walmart reviews third-party audit reports suppliers submit, looking for higher-risk non-compliances with Walmart’s Standards for Suppliers and issues that may be escalated for possible investigation. It will assign the audited facility a color rating based on the third-party program’s evaluation of the facility and Walmart’s own review of the report. The ratings are provided to all suppliers using the facility. All suppliers using the facility are expected to work with the facility remediate all non-compliances identified in the report in the manner dictated by the audit program chosen. In addition to this audit program-driven remediation, Walmart expects suppliers to prioritize the remediation of higher-risk findings that would lead to the facility receiving an Orange rating, as described below. Walmart uses color ratings as a tool to make decisions about suppliers and facilities and to promote remediation. Green: Green ratings identify facilities whose audits indicate a high level of compliance with the Standards. Yellow: Yellow ratings identify facilities whose audits indicate general compliance with the Standards. Orange: Orange ratings identify facilities whose audits indicate more serious violations of the Standards, but from which Walmart will continue to allow sourcing while the violations are remediated. Three consecutive Orange ratings may result in a Red rating, regardless of whether the facility remains in good standing with the audit program chosen. Additionally, suppliers who submit an audit report that results in an Orange rating must continue to use the same audit program until the facility improves its rating to Green or Yellow. Red: Red ratings identify facilities for which Responsible Sourcing has discovered violations of a nature that may make it appropriate to temporarily or permanently terminate the facility’s ability to produce product for Walmart. Red ratings may also be used to identify facilities whose third-party program seal or certification has been revoked, and for facilities that may have been terminated by a third-party audit program. If a facility is assessed a Red rating, its ability to produce product for Walmart may be ended indefinitely, its production halted and/or its product refused. Suppliers sourcing from a particular facility will be notified of the facility’s rating and any resulting actions or changes in business. In addition to monitoring suppliers’ facilities through audits, Walmart investigates certain allegations that suppliers and their facilities have engaged in conduct that may violate the Standards for Suppliers. Responsible Sourcing receives allegations through several sources, including the Walmart Ethics hotline and inbox, anonymous tips, Walmart internal business partners, media and NGO reports, and other sources. Substantiated findings may result in consequences for suppliers, facilities, or both, up to and including termination of business with Walmart and its subsidiaries globally. As the world’s largest retailer, we believe that we have the ability to positively influence the global supply chain. However, we also believe that if we empower and engage our suppliers, we can multiply our impact and foster true supplier responsibility throughout the supply chain. One way we do this is through the Responsible Sourcing Academy Training Portal, where suppliers can access training resources, best practices guidance, and educational materials developed by third parties and by Walmart. Our hope is that placing relevant and robust content in a centralized location will increase the use of these resources for the benefit of the entire supply chain. Another tool we are making available to our suppliers is the Global Compliance Guidance Tool. With this new resource, suppliers will answer a few questions about the products they sell to Walmart, their origin and destination and—in a matter of minutes—they will be provided with a list of compliance requirements they need to meet in order to initiate and continue doing business with Walmart. With clear expectations and diverse, quality resources, our suppliers have the opportunity to transform their supply chains for the better and be part of this positive transformation of how business is conducted. Although primary responsibility for compliance with Walmart’s Standards for Suppliers rests with the supplier, one way in which we drive a responsible supply chain is by identifying areas where Walmart can leverage its size and influence to assist its suppliers in making a positive and lasting impact on the people and communities from which they source. We want responsible recruitment to be the standard business practice for employers throughout the global supply chain within a decade. We are focused on promoting responsible recruitment and working to form coalitions to confront some of the root causes of forced labor and trafficking. For more information, please refer to our Responsible Recruitment Statement of Principles and the 2018 Global Responsibility Report. Working in conjunction with other retailers and food service brands, we have collaborated with two major fresh produce trade associations – United Fresh and the Produce Marketing Association – to establish the Joint Committee on Responsible Labor Practices. Since its inception in 2015, the Joint Committee has focused on driving industry alignment around a common set of guiding principles which, it is hoped, will form the basis of common industry efforts to monitor and improve conditions for workers in fresh produce supply chains. Walmart is working toward significant and sustainable reform of the ready-made garment industry in Bangladesh. In 2013 we issued enhanced life and fire safety requirements and worked with Bureau Veritas, a world leader in assessment and certification services, to complete up to four phases of inspections for factories in Bangladesh that produce ready-made garments directly for Walmart. We know that true reform requires many stakeholders working together for change. As a founding member of the Alliance for Bangladesh Worker Safety, we are collaborating with the industry, non-governmental organizations, worker organizations and local governments to drive safer working conditions for the men and women in our supply chain. Read more about our efforts in Bangladesh. We’ve been working with our suppliers and their growers to help them better understand Walmart’s standards and expectations, and to help them improve conditions for workers. We and some of our suppliers are also working as part of a broader effort to test a new approach which helps improve the safety and well-being of workers on farms. We care about the ethical recruitment and treatment of workers in global supply chains. Our standards clearly prohibit forced labor and trafficking, and we investigate instances when supplier facilities within the scope of Walmart’s Responsible Sourcing program are alleged to be involved in forced labor or human trafficking. Forced labor and human trafficking, however, are complex issues that cannot be solved by one company alone. This is why, for example, we are collaborating with a wide range of stakeholders to drive sustained improvements across the Thai seafood industry. Since 2015 we have engaged with the Government of Thailand, both in Washington, D.C. and in Bangkok, Thailand to clarify our expectations which include strengthening legal frameworks, industry oversight and law enforcement, and encouraging the prosecution of those involved in human trafficking. Helped establish the Seafood Task Force, serving on its governing board. Joined the Issara Institute as a strategic partner to strengthen worker voice in Thai shrimp supply chains. Provided orientation and training to suppliers of Thai shrimp to help them monitor and improve labor conditions in their supply chains. We will continue to work with our suppliers and other stakeholders to take meaningful steps to help improve the safety and wellbeing of the men and women in global supply chains.